I just wanted to stop in quickly on this last day of September to say hello! The next few days... probably weeks are going to be super busy around here as I am currently working on a big project. This project had been on my wish list forever and suddenly somehow everything fell into place a week ago and it's all hands on deck! I'm so excited and I'm longing to share, but not before everything is finished and...well, perfect :) Meanwhile we're looking forward to a long weekend, as Monday is Germany's national day! Ihr Lieben, nur ein kurzer Post an diesem letzten Tag im September. Die nächsten Tage... wahrscheinlich Wochen kommt viiiiel Arbeit auf mich zu. Dieses große Projekt hatte ich eigentlich schon lange vor, aber es kam immer wieder etwas dazwischen. Nun ist es aber soweit und ich bin ein wenig aufgeregt und würde zu gerne darüber berichten, aber ich halte mich bewusst zurück. Ich hoffe, dass ich das Projekt gut und vorallem zügig fertig bekommen. Drückt mir die Daumen :) Ich wünsche euch allen ein schönes (langes) Wochenende! wie es so schön heißt: ein Bild sagt mehr als tausend Worte. Wunderschöne Hortensien ! Ich wünsche Dir viel Kraft für dieses Projekt und bin neugierig. P.S. Der Kleber ist von dm, sehr preiswert und sehr haltbar. Ich drücke Dir gaaaaaaaanz fest die Daumen, meine liebe Duni!! Ein großes Projekt, ich bin gespannt, und wüsnche Dir schonmal viel Erfolg dabei! Ich wünsche Dir ein zauberhaftes Wochenende! A beautiful way to end September as we enter into Fall! Stunning photograph! Deutsche Freudentag! Genießen Sie den Tag der Feierlichkeiten. Beautiful flower! Congratulations on your big project! What a gorgeous shade of pink. Happy weekend! I can't wait to hear more about your big project! Have a great weekend! Wishing you great success with your project Duni! I'm looking forward to hearing about it. Accomplishments feel so amazing. Beautiful photo too! what a gorgeous flower! 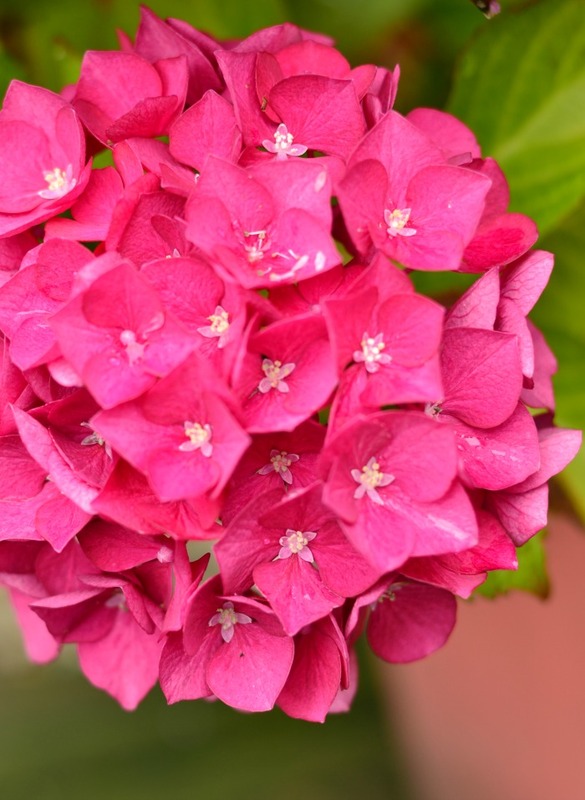 I don't think I've seen a hydrangea this color? ours typically are blues in color, but this is so pretty! Happy weekend and National Day! What a great photo!! Can't wait to hear your exciting news! Have a great holiday! And . . . love this photo!! Hope you enjoy and have a great holiday/a successful project!